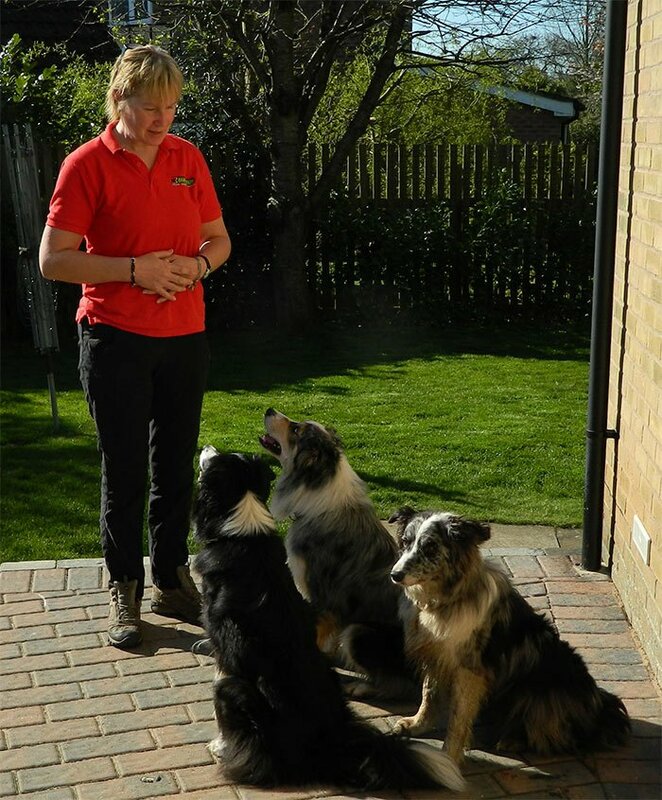 Manda Denny is qualified to 'Advanced level' in the Dog Training Instructors Course (DTIC) and to 'Professional Level' within the Pet Dog Training Institute. 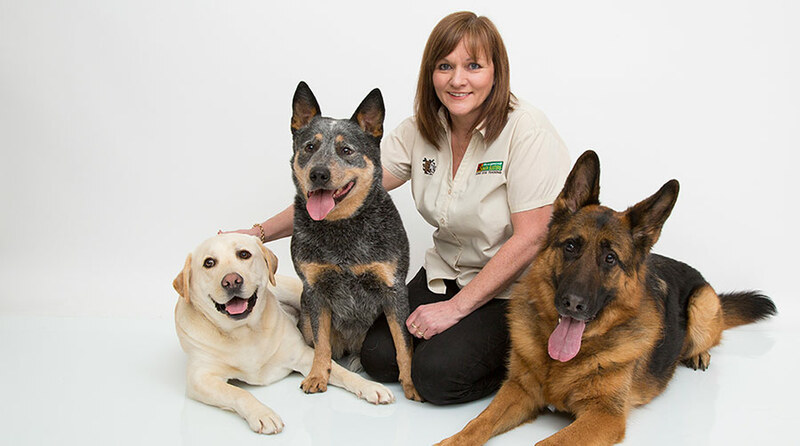 She is a Bark Busters Grand Master Trainer and Behaviour Therapist. Hello my name is Manda Denny your local trainer and behaviourist for Bark Busters Home Dog Training Wakefield & Huddersfield. I am a behaviour trainer with many years' experience prior to joining Bark Busters in 2006. During my long career I have run group classes, and specific masterclasses in skills such as training through motivational play, clicker, tricks and flyball as a trainer in Derbyshire and North Wales, and by invitation to other groups in Cheshire and Staffordshire. My qualifications and experience mean that, as well as tutoring dogs and their owners, I also train people with the right knowledge and enthusiasm to become pet instructors. As you can probably see, my passions and career revolve around our furry friends! I am happily owned by three border collies. They are central to my life and we work, compete and play together. I believe that all our pets deserve a happy life. Behaviour issues such as barking, destructive habits, pulling on the lead or boisterousness are often symptoms of being unhappy, or signs that their needs are not being fully met. In order for you to make their life easier, we must first understand what is going on in their heads. We need to observe them and ask ourselves why they are feeling stressed and how is that stress manifesting itself? Very often, there is a simple breakdown in communication and our pets don't understand what is expected of them. My methods are holistic, meaning that I will review the complete picture and look to change the underlying reasons for the behaviour rather than simply trying to change behaviour alone. I believe that this approach is more effective especially when dealing with more complex behaviour issues such as animal aggression, stranger aggression, or separation anxiety. Just as importantly, my methods are positive, rewarding, humane and completely hands-off, unless, of course, we are giving them a fuss for good behaviour! It is because of my approach that I have previously been asked to run classes for re-homed rescue dogs, and also to provide tuition for rescue and veterinary staff in the handling of stressed pets in their care. My role is to help you identify the issues that need to be resolved, and to help you to put in place a system of communication that will be simple, calm and above all, consistent. The Bark Busters communication methods are fast, effective, easily understood by both humans and dogs alike, and should break the cycle of miscommunication between you and your pet in a very short time. The programme is designed with you, in your home, and is tailored to your specific needs. The Bark Busters Support Guarantee gives you peace of mind that I will continue to visit and support you in your progress for the duration of your programme. Together we will eliminate unwanted behaviours and train in new and desirable ones. And if my passion for canine sports has interested you, and you'd like to learn some of the skills involved in these activities, just ask me and I will happily show you how!